Maintain your smile at its absolute best with consistent hygiene habits including attentive brushing, consistent flossing and regular dental checkups. We will customize a personalized care program to ensure your dental priorities are met and we will present specific options to help you achieve your dental and cosmetic goals. 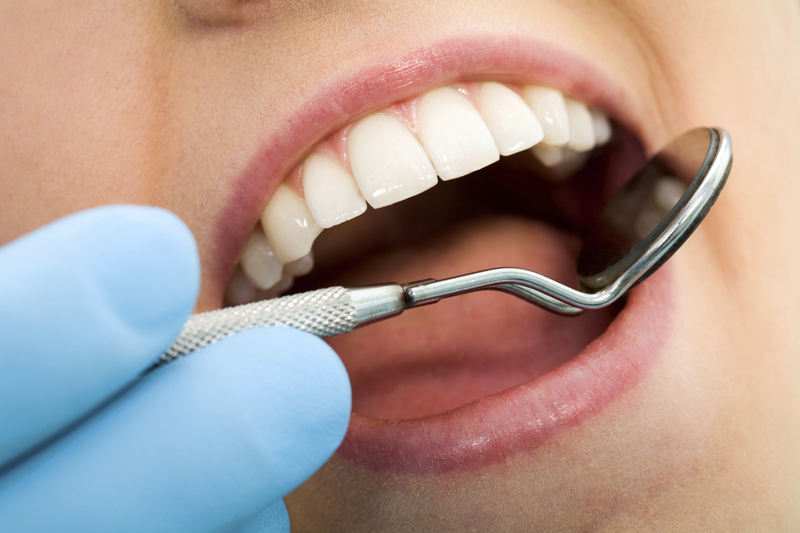 Regular professional cleanings are important for maintaining oral health. Our team is committed to keeping your smile bright and healthy. 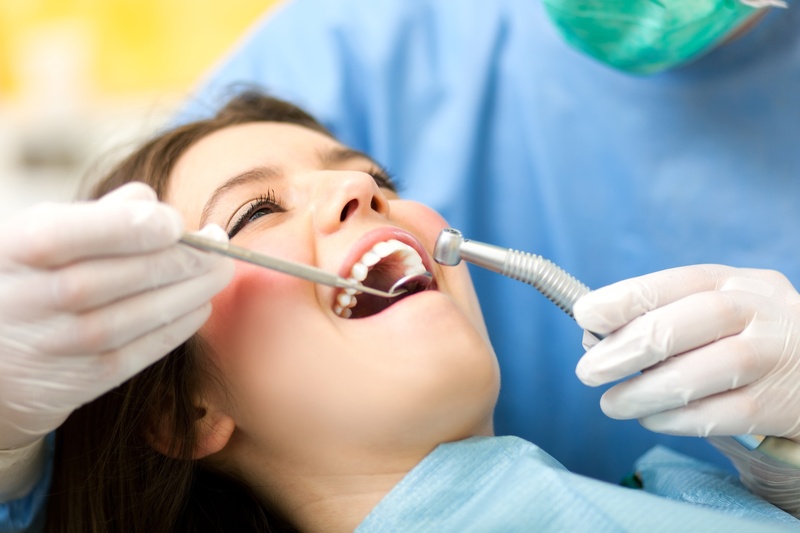 We work to prevent problems with problems by providing proper dental attention to cavities, infections and decay. Want to keep a bright, white smile for life? We have a free program for you! If you are interested in learning more about your preventative care options, please give us a call. We look forward to helping you reach optimal oral health. Want people to notice your exceptional smile? Dental examination of diagnostic X-rays (radiographs): Essential for detection of decay, tumors, cysts and bone loss. X-rays also help determine tooth and root positions. Oral cancer screening: examination of the face, neck, lips, tongue, throat, tissues and gums for any signs of oral cancer. Examination of tooth decay: Examination of all tooth surfaces for decay with specialized instruments. Examination of existing restorations: Examination of current fillings, crowns, bridges, etc.. Schedule a dental appointment with us soon so you can receive a thorough dental exam and maintain your oral health! Our dentists are available to discuss all your dental care needs and options with you in a consultation. 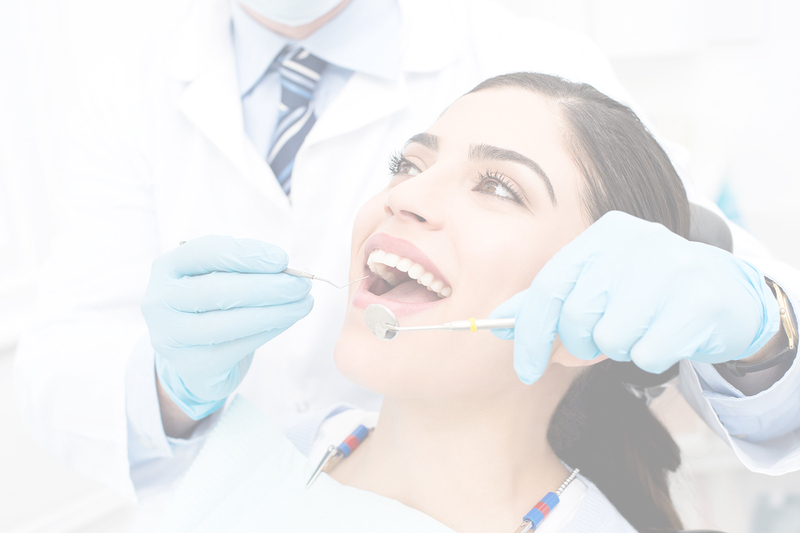 Whether you are considering cosmetic dentistry, including veneers, teeth whitening and composite fillings, or you are in need of restorative dental work, such as root canal therapy, dental implants or a dental crown, we offer the dental treatment you need to achieve the beautiful, healthy smile you desire. Schedule a consultation today to learn more about your treatment options. A sealant is a clear or shaded plastic material that is applied to the chewing surfaces of the back teeth as these are the teeth most prone to decay. A dental sealant covers the pits and grooves of chewing surfaces and seals out decay-causing food and germs. Dental sealants are most beneficial when placed on permanent molars as soon as the teeth come in. The dental procedure is simple, painless and it takes only a few minutes. The tooth is cleaned and treated with a solution that allows the dental sealant to adhere to the tooth. Dental sealants are painted on as a liquid and quickly harden to form a shield over the tooth. They can last for up to 10 years. It is important to have dental X-rays taken of your teeth to prevent discomfort, pain and permanent damage to your mouth. Even though digital radiography is significantly safer than traditional X-ray film, we still take all of the necessary precautions to prevent unnecessary exposure to radiation. Your health and safety are of the utmost importance to us. Smoking, heavy alcohol consumption (30 drinks a week or more) trigger 75% of the diagnosed oral cancers in the country but other environmental conditions can be contributors. During your exam, you will undergo an oral cancer screening to detect cancer in its earliest stages when it can be effectively treated. The exam is simple, easy and painless, but vitally important and should be done every six months. Use a toothbrush with soft bristles and a small strip of fluoride toothpaste. When you brush your teeth, move the brush in small circular motions to reach food particles that may be under your gum line. Hold the toothbrush at an angle and brush slowly and carefully, covering all areas between teeth and the surface of each tooth. It will take you several minutes to thoroughly brush your teeth. 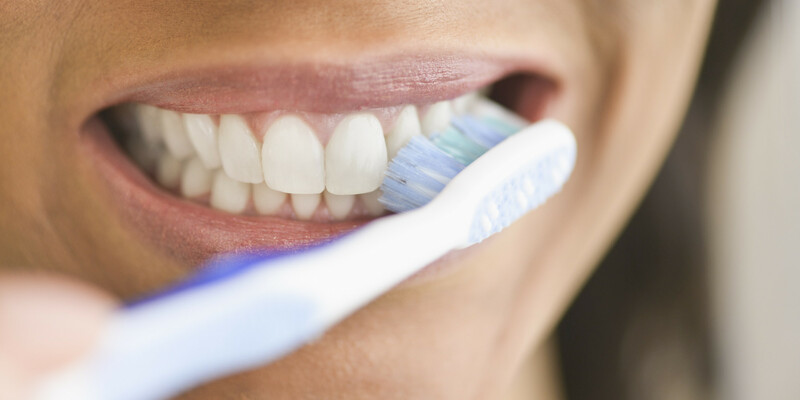 Brush your teeth at least twice daily to avoid the accumulation of food particles and plaque. For areas between the teeth that a toothbrush can’t reach, use dental floss to remove food particles and plaque. 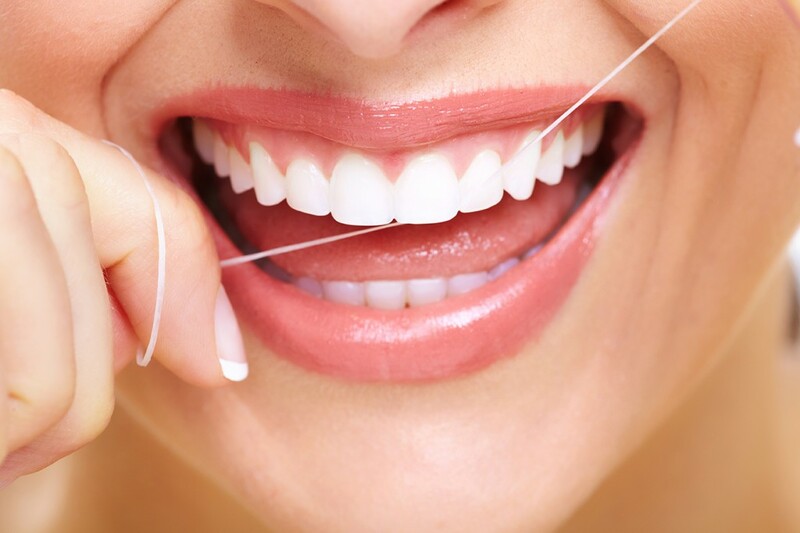 Dental floss is a thin thread of waxed nylon that is used to reach below the gum line and clean between teeth. It is very important to floss between your teeth every day. Floss at night to make sure your teeth are clean before you go to bed. When you first begin flossing, your gums may bleed a little. If the bleeding does not go away after the first few times, let a staff member know at your next appointment. Your oral health and overall systemic health are closely connected. Eating healthy foods and maintaining a proper diet are vital to your dental health. Cavities are less likely to occur when you avoid sugary foods and frequent snacking. Sugary drinks and snacks coat your teeth with sugar and promote cavity-causing bacteria. Eat healthy foods and brush your teeth regularly to fight cavities. Drinking water regularly also helps flush food particles from the teeth. If you have questions about maintaining your dental health, please don’t hesitate to ask us. We are prepared to give you the information you need to take charge of your dental health so you can enjoy a bright, beautiful smile.